When mining was king in Montana, railroad tracks snaked through mountain ranges to reach small boom towns and haul ore to market. One such mining area lay in the Little Belt Mountains south of Great Falls. The mining towns of Monarch, Neihart, Hughesville and Albright thrived briefly while the ore held out. Today, only the small recreational communities of Monarch and Neihart remain. Hughesville and Albright are ghost towns and trains no longer chug through the canyons. One railroad ran up Belt Creek and the abandoned railroad bed is now the main component and access route of Sluice Boxes State Park. 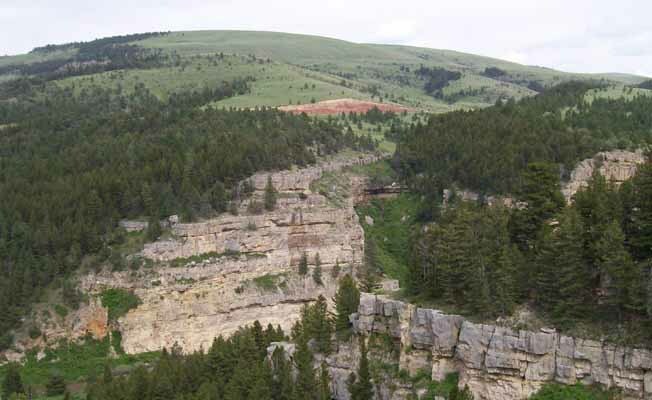 Soaring cliffs and precipitous ledges mark the Belt Creek Canyon as it slices out of the Little Belt Mountains and winds toward the town of Belt. 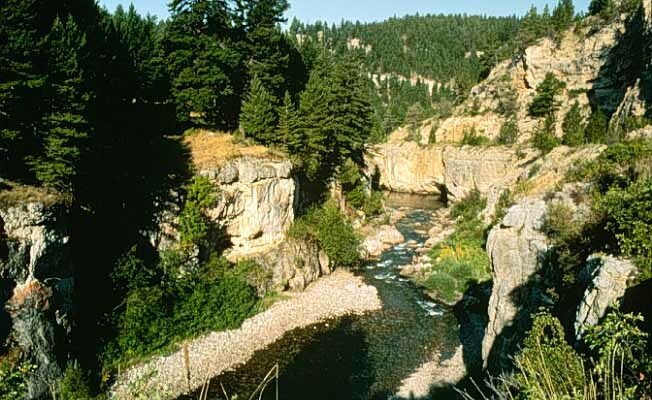 Sluice Boxes State Park, established in 1970, consists of the northern most 8 miles of the Belt Creek canyon. The train bridges have been removed and visitors must ford the creek - a difficult proposition during high water flows. Because of these crossings, hiking in the Sluice Boxes is limited to low water season, generally mid-July through September. The spring-fed water is always cold and weather in the Little Belts changes often and quickly. Be prepared. For the intrepid traveler, trout fishing in Belt Creek, spectacular scenery and many wildlife species await. 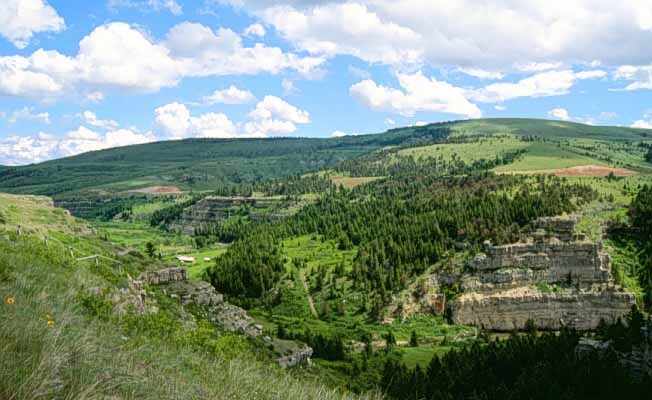 From Belt, Sluice Boxes State Park is located 15 miles south on U.S. Highway 89, then 1/2 mile west on county road. Signs off of Highway 89 will direct you to the Riceville Bridge trailhead, the only developed access point for the Sluice Boxes. You can fish, picnic, or begin a hike at the area which has a parking lot, latrine and trailhead.